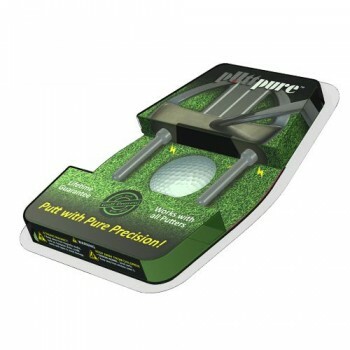 pUttpure is an accurate, yet simple, way to increase your putting proficiency. Simply apply the two magnetic pUttpure rods to your putter and you will quickly see how easy it is to perfect your putting technique. pUttpure can be taken with you anywhere you go, and comes with a carrying pouch and bag clip/snap hook for mobile convenience. Wide mouth design features convenient electric ball return. Helps improve putting for high and..